For Hillery Sproatt, the apple doesn’t fall far from the tree. As the daughter of fiber artist and clothing designer Debra Weiss, Hillery’s path in fine art was set at a young age. 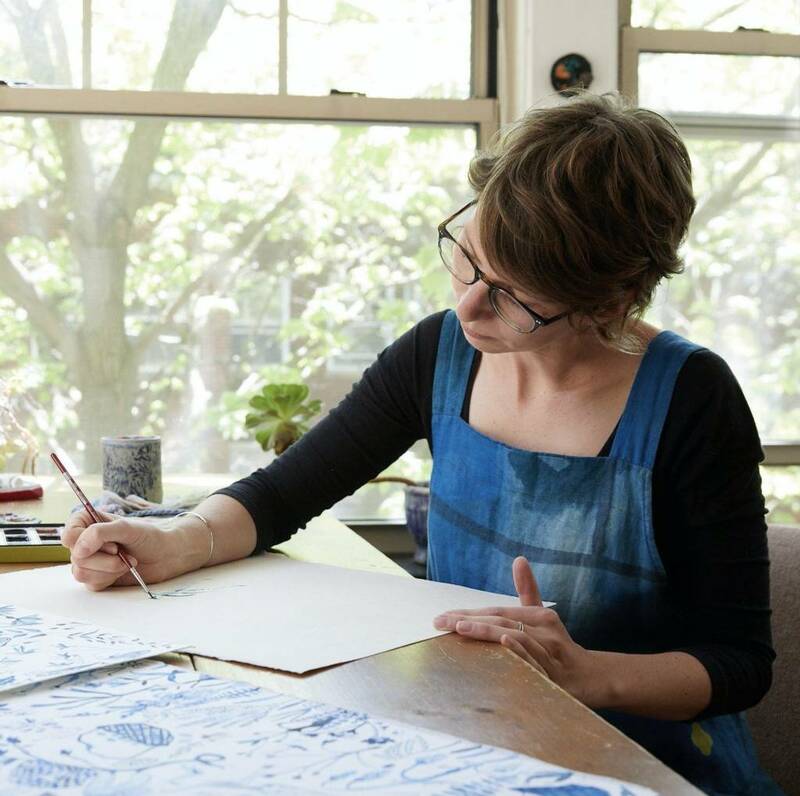 Translating her own paintings into whimsical textiles, Hillery’s artistry is realized through sustainably made knit blankets that honor Japanese, Scandinavian and Eastern European design through nature-inspired imagery and childlike wonder. Portrait courtesy Hillery Sproatt/Rejuvenation.